Viknesh Vijayenthiran February 2, 2018 Comment Now! 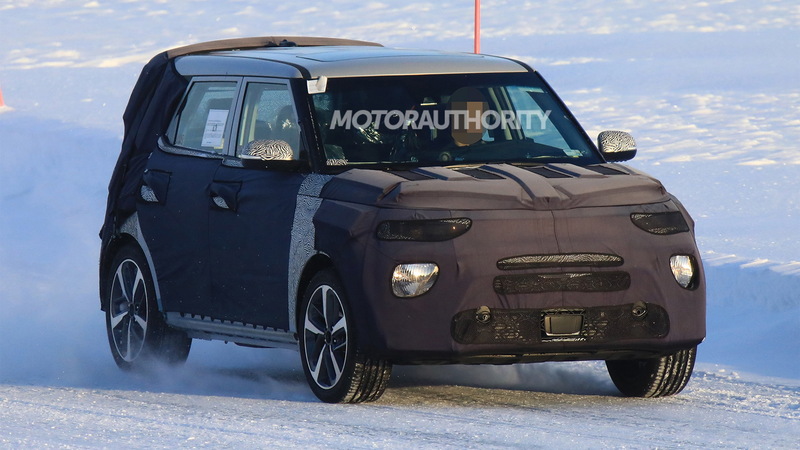 A new generation of the Kia Soul is brewing, and judging by our spy shots the funky look we've grown accustomed to with past versions of the Kia compact crossover SUV will be retained. The boxy shape was first shown in 2006 on a Soul concept car and today is instantly recognisable as Kia's smallest SUV. Well, smallest in the United States. In other markets there is the slightly smaller Kia Stonic. Beyond the boxy shape, the new Soul also maintains the vertical taillights of its predesscors. The front will be different, however. 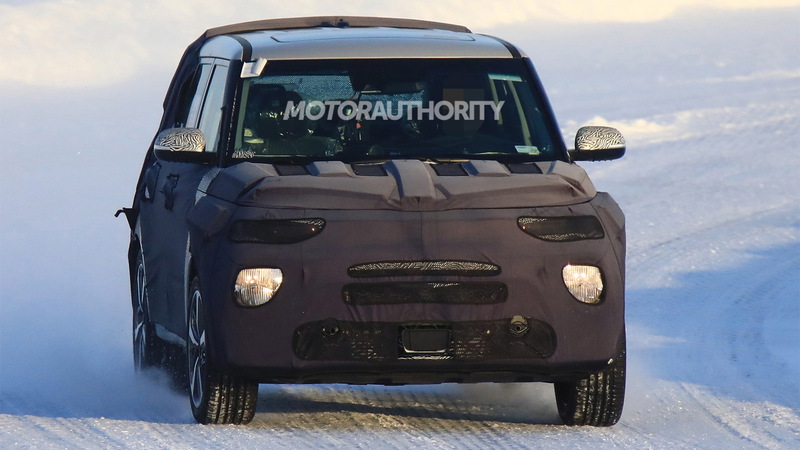 It looks like the designers have gone with a split headlight design where the main projectors and daytime running lights are separate units. 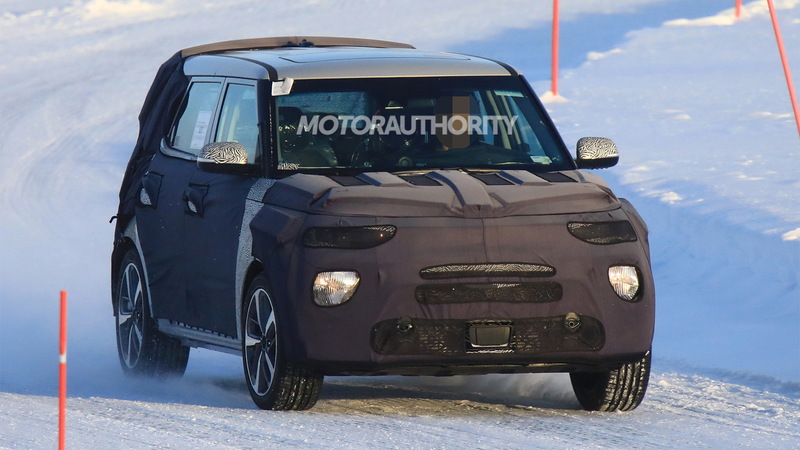 In the powertrain department, we'd expect the 201-horsepower 1.6-liter turbocharged inline-4 added to the current Soul for 2017 to be featured in the new model. Paired with a 7-speed dual-clutch transmission, this engine is a hoot to drive and the same should be true for the setup in the new Soul. There should also be a naturally aspirated engine or two on offer. 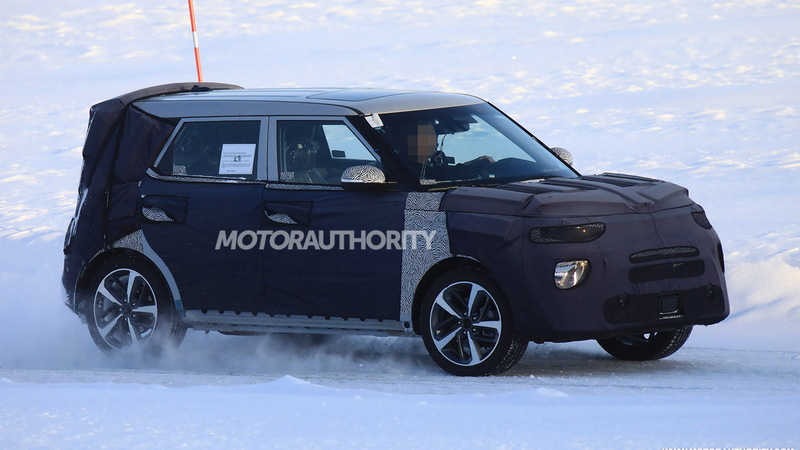 For electric car fans, Kia will have a new Soul EV in the range. The current Soul EV just saw its range increase from 93 miles to 111 for 2018. 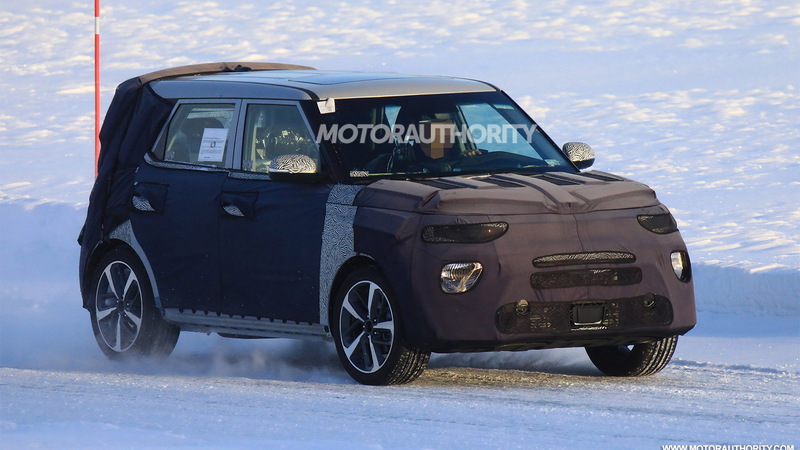 This means we might not see much of an improvement for the new Soul EV initially, though perhaps later in the life cycle. Kia just last month hinted at a Niro EV with 238 miles of range. The new Soul represents the nameplate's third iteration. We should see it in showrooms in 2019, as a 2020 model.